6"x6". mixed media on paper. $100. 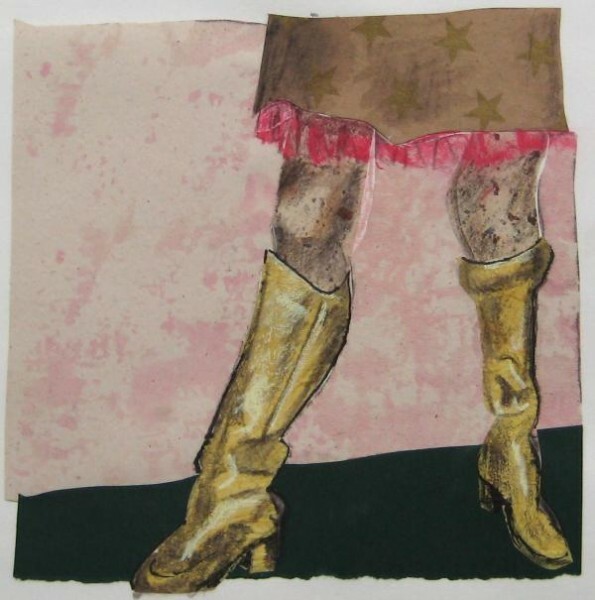 This entry was posted in collage, drawings, fashion, fashion illustration, figures and tagged $100, 6"x6", acrylic, boots, brown, collage, gold, green, legs, mixed media, paper, pastel, pink, skirt, stars, stockings, yellow. Bookmark the permalink. Trackbacks are closed, but you can post a comment.